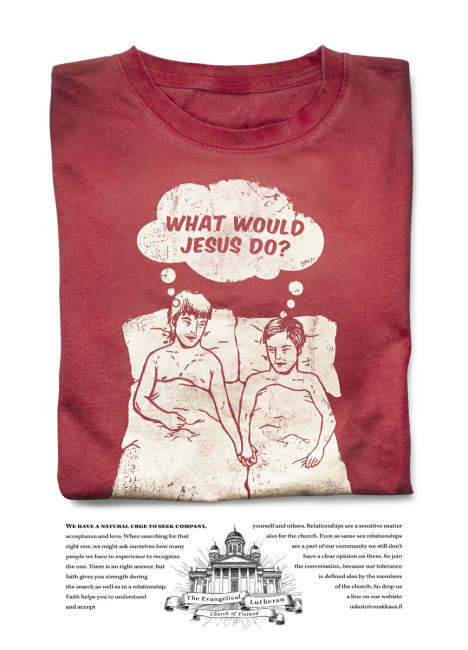 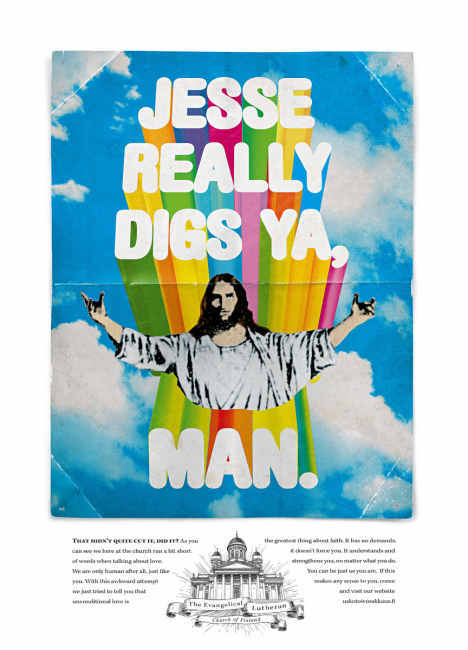 The Evangelical Lutheran Church of Finland produced a couple of edgy print campaigns in 2007 engaging with the wider culture. Although the church is the official religion of Finland, attendance and participation is suffering, particularly among younger generations. 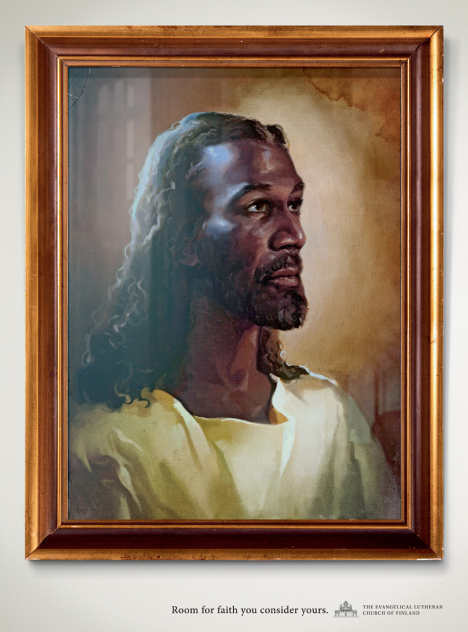 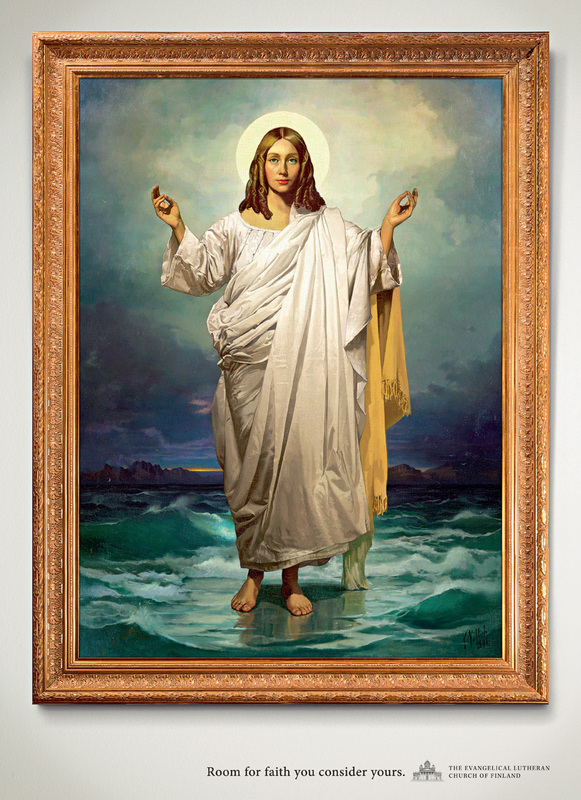 The first two simply present alternative depictions of Jesus, with the phrase Room for Faith you consider yours. 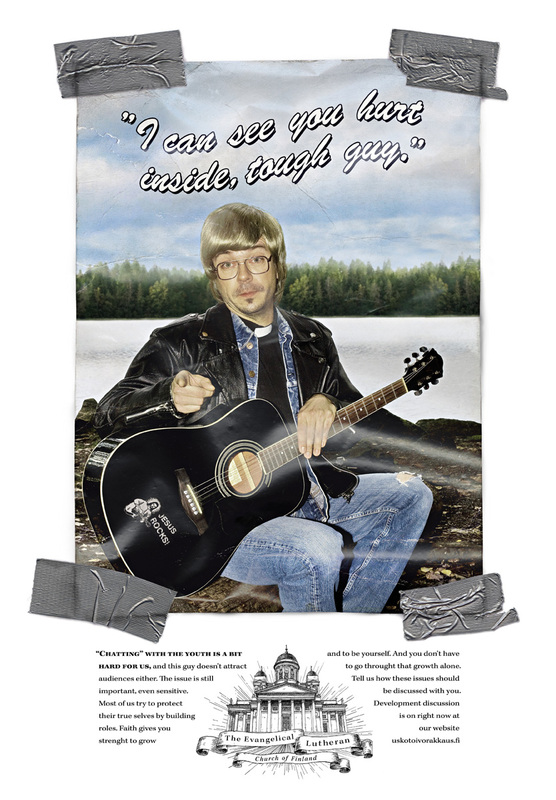 The second set is built around the phrase Usko Toivo Rakkaus, with somewhat clumsy art and copy designed to demonstrate a liberal, old fashioned and genuine attempt to engage with a younger audience. The campaign was developed at TBWA\PHS Helsinki Oy, Helsinki, Finland, by art directors Mikko Torvinen and Ossi Honkanen, and copywriters Antti Toivonen and Tommi Laiho.